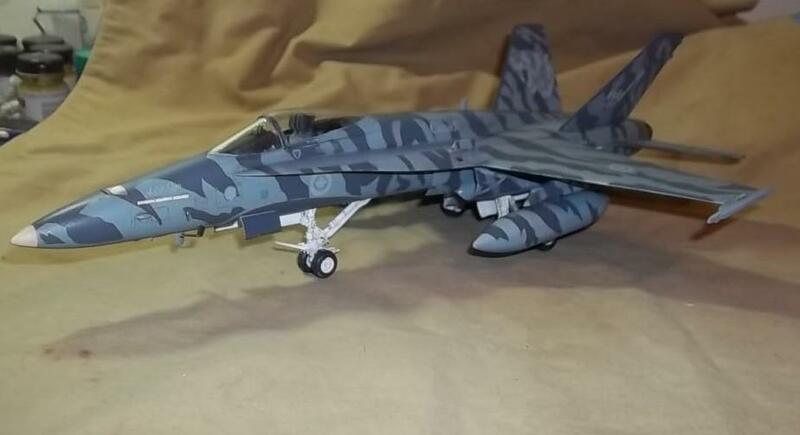 1/48 Hasegawa F-18. 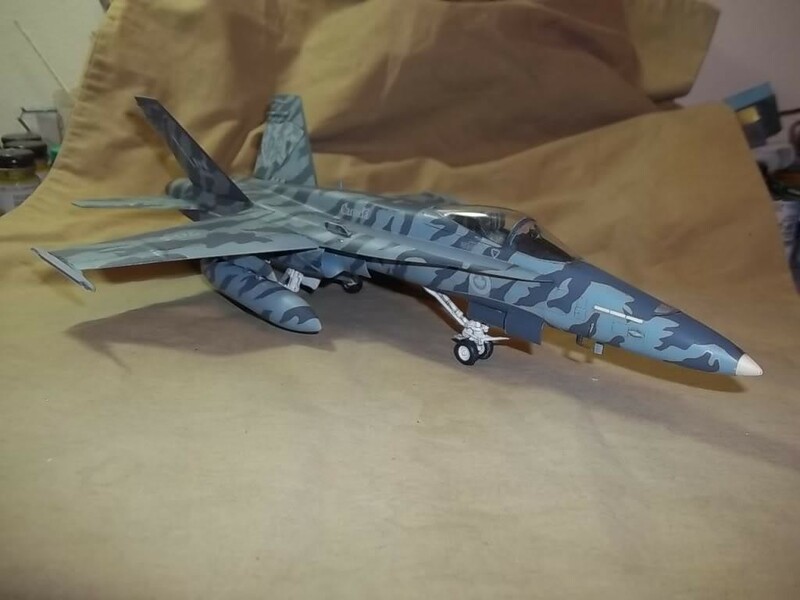 I had originally bought this kit as a spares kit, I paid $5.00 US for it. I bought it from a friend who got it from the original owner. 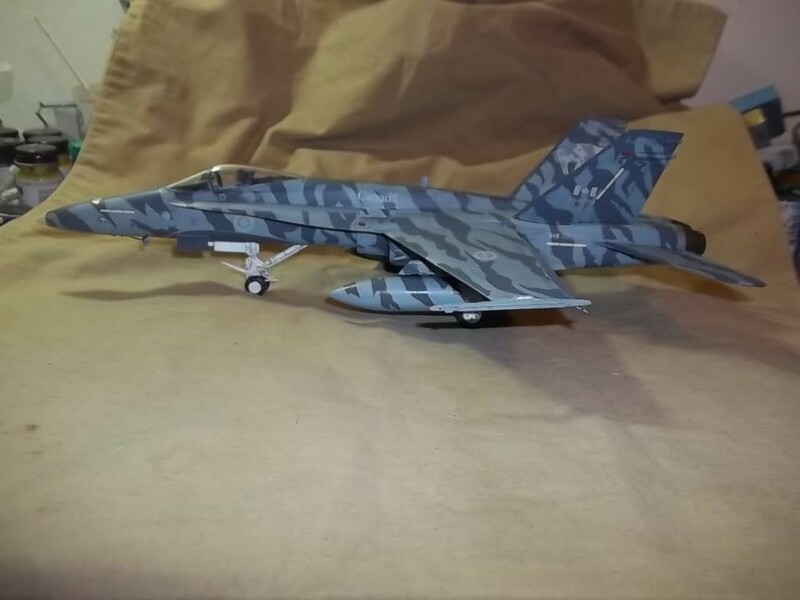 The original owner had attempted to build it using superglue and not sparingly either, after 4 months of cleaning, sanding and rescribing, then adding an aftermarket cockpit / decals, this is what I came up with. Very nice save, Lloyd…I’ll bet the “original owner” would like to have it back NOW. I assume those are decals? Lloyd, well done! Considering what that kit goes for, even with the work you had to do, a bargain. Nice save! 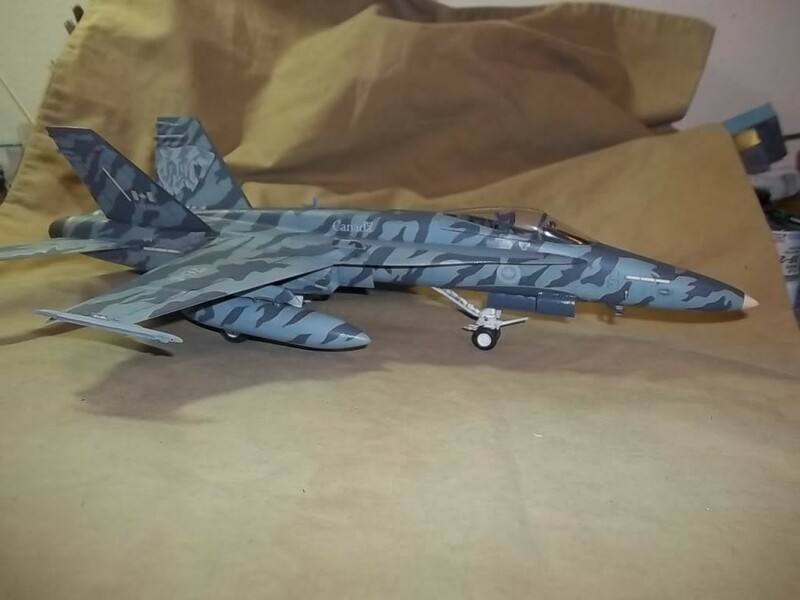 I love the camo scheme. Nice F16’s as well on the previous pages. Sorry I can’t comment on them all, I’m on a rig with pretty slow wifi! What a remarkable result! Your efforts have certainly paid off. Great finish to a good kit. What a bargain! Excellent work on a beautiful scheme. Nice to actually make a silk purse out of a sow’s ear, isn’t it? Way to bring it back to life! Love the scheme you chose, and she looks really good. Remember seeing that ‘in the flesh’ 1989/90ish ?? As one can see, the effort and the save are well showed. Great work on this one Lloyd. 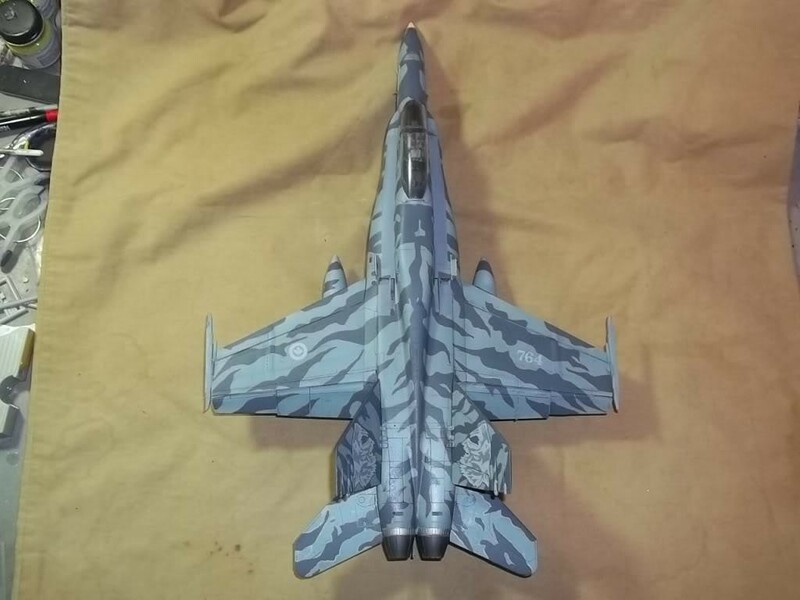 You mean those camoflage markings are decals? 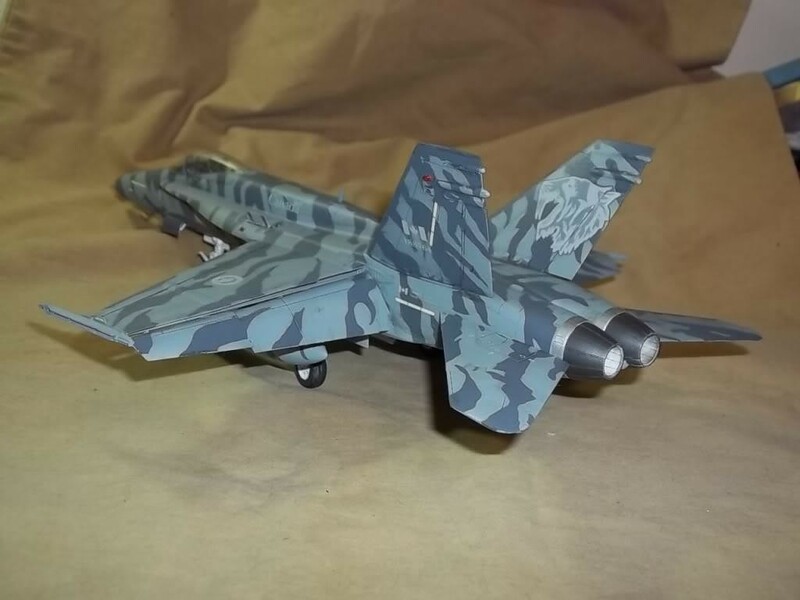 Man, thats one cool cammo!